Mesh Vinyl Banners are the most optimal material to print on for outdoor events. They are weatherproof and provide great photographable backdrops with no glare. Mesh Vinyl is also a perfect material for flag pole banners. 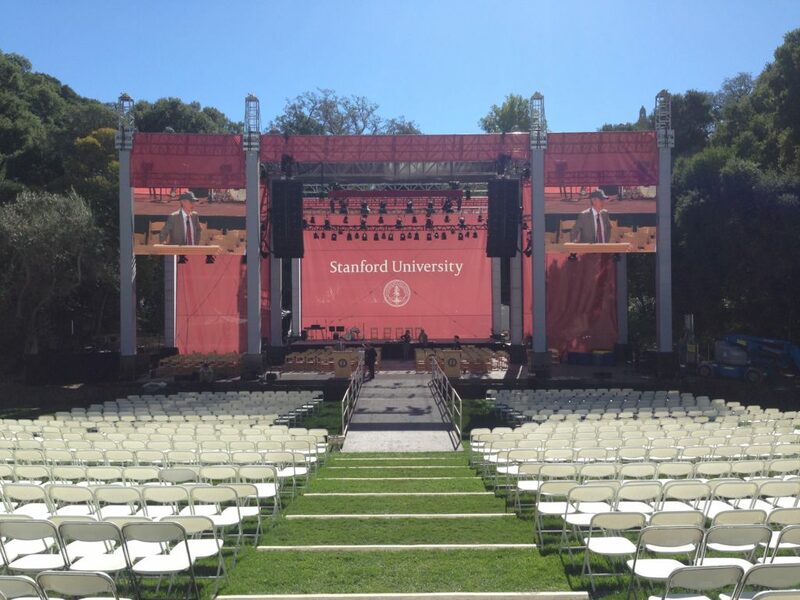 Below is a printed mesh vinyl banner set installed at the Frost Amphitheater on the Stanford University Campus. This material is also ideal for providing shaded areas. It allows air and light to flow through while still providing shade to the stage on a hot sunny day. This material is perfect for long graduation and award ceremony events. 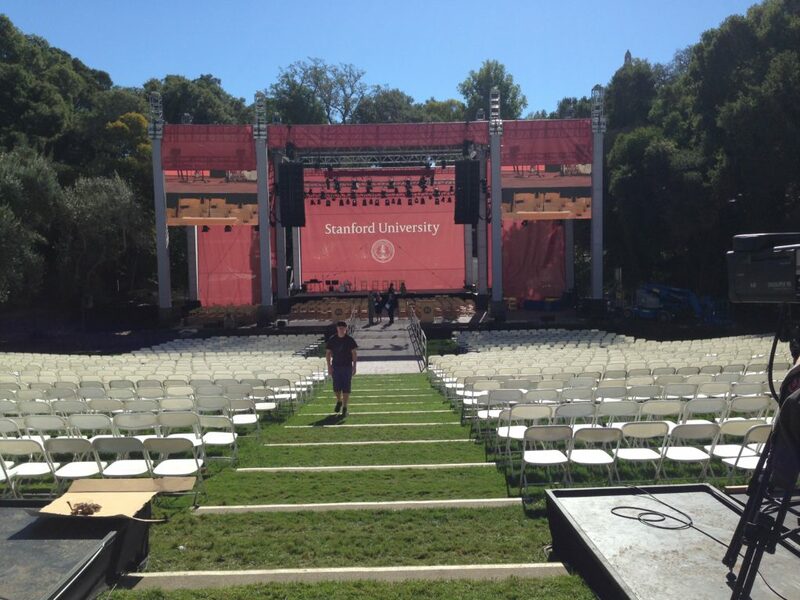 Dynamite Digital partnered with Tall Girl Designs to create a massive backdrop, consisting of six enormous mesh banners, literally setting the stage for Stanford’s event. As you can see, size is not a limitation. Check out our recent blog post for details on why signage matters. To learn more about our products and services, click here. To request a free quote online today, click here. Thank you for your interest in Dynamite Digital – The San Francisco Bay Area’s large format printing experts!